1947: Grandmaster Yamaguchi, Tokyo Ueno Dojo. Grandmaster Toyama - Meguro Dojo. Grandmaster Oyama - Ikebukuro Dojo. Grandmaster Konishi - Tokyo Dojo, Mr. Sai - Tokyo. Teaching: Secret Service, Navy SEALS, US Military, CIA, DEA, Police, LA Sheriff, FBI , Highway Patrol, Air Marshalls, and many more departments all over the world. First instructor at the Kamata Police Department in Tokyo (1948). President and Founder of the International Karate Inc.
Began Martial Arts Training in 1938. Rarely does the average martial arts student have the opportunity to study directly under the supervision of one of the greatest karate masters in the world. Grandmaster Takayuki Kubota, founder of the International Karate Association, has been practicing the martial arts since he was five years old. His mastery of and passion for the art of karate is evident in every class. 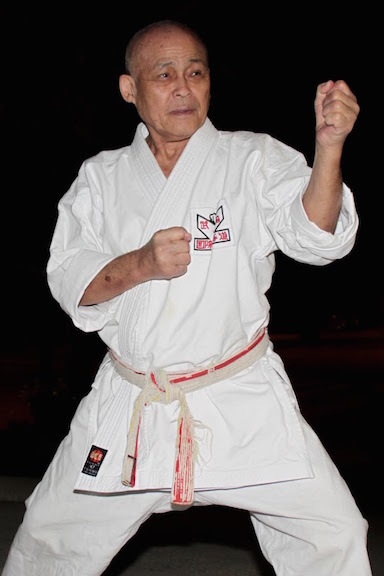 Over many years, Grandmaster Kubota has developed his own unique and widely acclaimed style of Japanese karate known as Gosoku-Ryu. Born in Kumamoto Japan over 80 years ago, Grandmaster Kubota started his training at age five, and his interest in learning and passing on his art has never waivered. In addition to the rank of 10th Degree in Karate, he also holds high-ranking black belts in Judo, Kendo, Aikido and Jujitsu. He is considered a “pioneer” and a “living legend” in the field of martial arts in the United States and has been honored many times over by the martial arts community, law enforcement agencies, the entertainment industry, and many other communities throughout the world. In addition to teaching at the world-renown Headquarters Dojo of International Karate Association in Glendale, California, Grandmaster Kubota leads seminars, by invitation, in countries throughout the world. Grandmaster Kubota’s professional career started as a teenager when he arrived in Tokyo Japan at the end of the 2nd WW. In order to survive on his own, he offered his services to the Tokyo Police Department where his unique talents were quickly recognized. 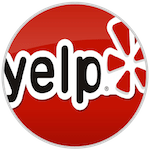 Since then, he has developed his own style of law enforcement defensive tactics and, even today, is sought after for his expertise in this field. He is an active member of the Screen Actors Guild and has appeared in numerous TV shows, movies, commercials, and live interviews, even though he has had no formal acting training. His personality lends itself to roles both serious and comedic. As serious as the martial arts can be, Grandmaster Kubota maintains a wonderful sense of humor and takes a personal interest in all of his students, encouraging a spirit of camaraderie and respect for all.